You may have a gifted child who you think needs some additional support in their learning to really be challenged at a level appropriate to them. If so, you have come to the right place. We provide a supportive in-home childcare environment with your child the focus. We go the extra mile to find the right fit for your child & family. Auckland Eye is New Zealand's centre of excellence for eye care, and our specialist paediatric ophthalmologists can help with any concerns you may have about your child's eyesight. A tailored approach that provides the best possible outcome for our patients and as New Zealand’s largest ophthalmic group we have every aspect of eye care covered, so you won’t be referred on to another clinic. Blink is the Auckland Optometrist practice you come to for personal attention. We offer the highest level of expertise in professional eye care available to adults, adolescence and children. At the centre of our vision is you. Because we are independently owned and operated, you’ll feel relaxed with our informal approach and our genuine care for your eye health. Rocket Ropes is a high ropes adventure park offering a unique mix of exciting aerial challenges for all ages, across low and high ropes. A thrilling and challenging fun day out for the whole family! We are a family of families dedicated to growing AWESOME kiwi kids. At sKids Hamilton East we offer affordable out of school care to primary school children. We consider it a great privilege to support parents, schools and communities. At Kelly Sports, we teach children fundamental sporting skills in an awesome, fun-filled environment. Our philosophy is to encourage children's enthusiasm for sport and the life skills it teaches. Family Works Northern builds strong families that learn, grow and thrive. Our social services help make Aotearoa New Zealand the best place to raise children. ICONZ and Boys’ Brigade offer weekly adventure based programmes for boys, mentored by men of integrity whose desire it is too see kiwi boys become kiwi icons. Programmes are specifically designed to develop practical life skills and encourage values such as discipline, integrity, respect. At Kelly Club we believe in giving children opportunities to do the things they love and enjoy in a supportive and encouraging environment. Kelly Clubs are OSCAR programmes and are approved by the Ministry and Social Development and align to our national policies and procedures. Based in Hamilton, Kip McGrath offers reading, spelling, comprehension, English and maths tutoring by qualified teachers to meet the individual needs of children from pre-school through to Year 13. We believe that parenting is everything and that great parents will grow great children! We work with parents to equip them with the best in knowledge, skills and support so that they can be the best parents they can possibly be. Our goal is to help you and your family achieve new levels of fitness and health, self discipline, confidence and focus, through the mind/body practice of martial arts... We also offer programmes to support youth affected by bullying. Capable Kids and Families offers counselling, programs, and assessments, specialising in working with children and adolescents, and their families. Making a positive difference to their lives, children and families can learn to manage and overcome challenges and become more capable, confident, and happier. Visique Rose Optometrists are at the forefront of optometry with a technologically advanced practice offering the latest in visual correction and eye care options. Qualified and experienced staff ensure your whole experience is professional and friendly. Youthtown is a nationally operated, not for profit organisation delivering programmes, that develop skills and knowledge, to as many 5-18 year olds as we can. Our vision is to empower young New Zealanders to be the best they can be. We provide after school classes where, through drama, students build confidence and self-esteem, improve their verbal and listening skills, explore their imagination, perform and have great fun all at the same time. Skids Devonport, where the safety and care of your child is our number one priority. If you’re looking for a safe, structured and fun environment for your children then you’ve come to the right place. We are an Out of School Programme offering both structured and free play environment. We are dedicated to “Growing Awesome Kiwi Kids”. We have exciting, fun activities every day along with our weekly themes. Inspiring and empowering children in engineering. Taking children’s 3D designs and turning them into 3D concepts via a 3D printer, we help to create and watch their ideas grow from sketch to reality! AUT Millennium Athlete Development offers school-aged children and teens with non-sport specific programmes that help to stimulate both mental and physical development. Our coaches believe in being highly responsive to the individual needs and desires of the athletes, teaching them to perform essential movement patterns, techniques and skills. Crystal Mountain is an exciting, purpose built attraction, consisting of a Crystal Mine Museum, Café, Gallery–Retail Souvenir Shop and Themed Animal Park, which caters specifically for the family group; providing a unique shopping experience, with an educational and entertaining environment, where families, groups and individuals of all ages and abilities enjoy visiting on a regular basis. Brain Play is a new and innovative education company that aims to introduce students aged 5 to 15 years of all abilities to technology topics such as coding, robotics, electronics, and 3D printing. Technology is everywhere in our current world and we believe all Kiwi kids should have a chance to learn about and experience the amazing opportunities technology can provide us with. Mahurangi Vision Centre has an outstanding reputation for providing eye examinations for children. Adapted to the age, ability and confidence of the child to work within their comfort level, we get the best possible results. Girls' Brigade is an international Christian movement for girls aged 5 - 18. Groups in New Zealand meet weekly after school or in the early evening for activities, games and devotions. Outings, camps, adventure sports and international events offer girls opportunities to enjoy challenges, grow friendships, learn new skills, and strengthen faith, all while having fun! AUT Millennium Holiday Programme provides an environment where children can learn, take part in something challenging and be rewarded with a sense of accomplishment upon completion of activities within a structured programme. NumberWorks’nWords provides face to face, quality, personally tailored Maths and English tuition programmes to help students catch up and get ahead. 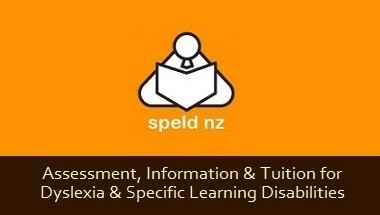 All abilities, NZ curriculum & fun! Physio Fix has built a reputation for treating children of all ages with particular focus on their developmental age. We work closely with the local schools and paediatric specialists to offer your child a fun, individualised plan. A practical and supportive family therapy service for parents and children, to help empower all members of the family to have an easier and more enjoyable life. Cellfield is a unique reading intervention programme for children with dyslexia. Cellfield uses neuroscience and optometry research from the last 30 years to achieve outstanding results in as little as two weeks, helping to build up the self-confidence of your child to approach learning in a new and positive way. The Hibiscus Coast Youth Centre is a non-profit organization working to empower and strengthen youth and families through challenging activities, support services, employment, advocacy, education and training. Psychological Services offers therapeutic support for individuals, adolescents, adults, couples and families, utilizing evidenced-based therapies. A holistic approach and the collaborative exploration of internal processes hold the potential for change. When honouring body, mind and spirit in their cultural context, the inner wisdom of each person is encouraged to move towards growth and well-being. Paediatric Therapy Limited consists of therapists who are paediatric specialists and are dedicated to working with children to help them reach their developmental potential. Seasons for Growth is an internationally successful, innovative education programme which assists people of all ages to understand & manage experiences of change, loss and grief. Home and Family Counselling provides professional, affordable and accessible counselling for children and their families, couples and individuals on a voluntary contribution basis. We tutor Dance, Drama and Musical Theatre. The ‘big idea’ of this education is to nurture and promote skills that will be the key to future success. Our aim is to develop young people who can present themselves to the world with pride and confidence. ActivZone Indoor Sports Arena in an incredibly versatile indoor sports arena, home of skating and table tennis on the North Shore. Our specialised rink is perfect for all kinds of indoor sports, such as hockey or soccer and we host a large range of events and programmes. LittleCooks’ aim is to get every child learning to cook! We offer after school classes, one-off workshops, private sessions and customised events to suit. In this fast-paced and changing world with more food choices than ever, we help kids learn the life skill of cooking, teaching them in a fun and safe environment to cook and bake a range of foods so that they can make better food choices today and tomorrow. Mangawhai Physiotherapy are Musculoskeletal specialists with services that aim to assist your child maintain an active and healthy lifestyle. Physiotherapy treatments we offer include massage, acupuncture, joint mobilisation, rehabilitation exercises and lifestyle advice. We are a family of families dedicated to growing AWESOME kiwi kids. We offer affordable out of school care to primary and intermediate aged school children at our sKids centres across New Zealand. We consider it a great privilege to support parents, schools and communities. Providing mentoring, support & guidance for parents struggling to connect positively with their children. A caring, confidential & safe environment. Albany Stadium Pool is designed for family fun and education. Although there is a lap swimming pool (20m) its priority first and foremost is for leisure and learning to swim. 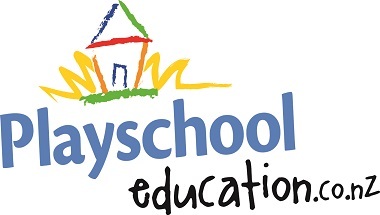 Playschool’s education offers a FREE education programme for all children cared for at home by an Au Pair, Nanny or family member (excluding child’s parent’s). It is unique and personalised and will provide your child with an education programme that meets their individual needs and requirements. Our vision is to provide high quality education and care for children aged 0-5 years, to ignite their passion for a lifetime of learning. Licensed for up to 50 children catering for 0 – 5 years of age, Rockabye is light, welcoming and cheerful, where every consideration has been taken to create a clean, safe and stimulating environment which follows their core values of trust, quality, integrity and relationships. YMCA Auckland is a not for profit organisation, committed to strengthening families and youth development. A fun, multisensory programme designed to help children with dyslexia and other learning difficulties, unlock their potential, build confidence and achieve success. Unlocking Learning – guiding your child to develop problem-solving strategies and providing skills, encouragement & support to transfer into their learning and everyday life. Visique Frith and Laird is a team of Auckland optometrists providing professional eye care, individual tailored advice, friendly service and quality products. Providing a safe, fun environment where young gymnasts of all ages and abilities can develop confidence and fundamental skills at their own pace, under the leadership of enthusiastic, trained coaches. Football is a game that should be enjoyed by anybody at any level and in any environment. Development is better achieved when you enjoy what you are doing. This is always our aim. Creative Harmony Arts Therapy offers a psychotherapeutic approach to therapy that utilises the expressive arts to enable children and teenagers to express and explore thoughts, feelings and concerns that are sometimes too difficult to put into words. Building self-defence & character-building skills that will last a lifetime, through the martial arts system of Kempo Karate and Kung-Fu. Everybody has Strengths. Everybody! Knowing your own strengths and how to use them paves the way for greater success. 2Flourish uses a range of tools to help you and your child identify their strengths and how to use these effectively to build resilience and confidence for learning and life. JeMMa's provide a trusted, clever mix of childcare and education for babies, toddlers and pre-schoolers creating confidence and comfort for your child. The Centre for Psychology offers professional and cost-effective psychological services to the North Shore community. Our team offers a wide range of such services to individuals of all ages including children, adolescents, adults, and older adults. Tuatara Counselling Services provides confidential, safe, and non-judgemental counselling for people of all ages. We offer you the option of traditional Counselling as well as more creative therapeutic options including Sandplay Therapy. CornerstoneNZ is a consulting service which focuses on the assessment and identification of specific learning difficulties, e.g., Dyslexia, Dysgraphia and Dyscalculia…or in plain language, difficulties with Reading, Writing and Arithmetic. A suite of assessment tools such as the WJIV and Key Maths 3 are used to establish areas of learning strength and weakness and a comprehensive report outlines ways in which clients can work towards meeting their full potential. Visique Hawkins is a friendly, family orientated practice, providing a full examination of your child’s eye health and vision. This includes binocular functions and measurement of any refractive error and any solutions for your child’s eye health and vision challenges. Run, jump, play! Get active the way you want at the Ōtara Pool & Leisure Centre. Whether you’re interested in playing in a team, increasing your confidence in the water or enjoying our before or afterschool programmes – with our aquatics, recreational, fitness and childcare programmes under one roof, you’re sure to find ways to keep the whole family active and having fun. Our vision is for every young person with autism to reach their full potential, supported by their families and communities. We have a highly experienced team that teach skills and help to manage anxiety, reduce their sense of isolation, and guide them through those tricky transitions and developmental stages. Achieve Centres for Education NZ provides after school learning support and extension for Years 1-13. A local, trusted, effective and affordable full service tuition centre where students feel positive about their learning. We are a full service tuition centre situated on Auckland’s North Shore. “A Fun Place to Learn”- Our mission is to provide quality, affordable childcare for children, ensuring they enjoy a safe, fun place to learn. We want to inspire young children to have a passion for learning and develop to their fullest potential, as a result of our nurturing care and teaching guidance. The Cellfield Intervention is a neuro-scientific program that scientists describe as powerful, remarkable and brilliant. It is not a reading programme. There is nothing else that can make such a big difference in such a short time. It is based on neuroscientific research and on average improves reading skills by two years after ten hours. Wouldn't it be great to have someone care for your children, helping them grow and develop in their own home environment, the way we did when we were kids? Dream Au Pair offers you just that! I'm a fully Registered Psychologist with 30+ years experience working with children's emotional & behavioural development in U.K. and N.Z. My light-hearted, positive approach can help your child and your family. Here at Babies & Buddies Early Childhood Centre, our vision is: To develop the inner spark in every child, so they shine on the outside. To achieve this we identify each child’s unique interests and needs, tailoring daycare programmes to suit their personality and encourage development. C J Counselling provides friendly, helpful, and effective counselling in Tauranga. Children, young people, and their families, in a safe and welcoming environment, can therapeutically explore their life. Counselling is available in-office and via Skype online for those unable to access our office. I offer you brief or long term interventions for children, adolescents and adults. Assisting with a range of life challenges, I help create a new outlook on life. START is the only organisation in NZ that specialises in providing effective, best practice treatment & support to children who stutter and their families. Life Community Services is a Not for Profit Family Social Service in the Waikato, serving people in our communities by providing free family and parenting services. Programmes for children and youth that are struggling with confidence, self-esteem, anger and who need to find skills to build resilience and to help build positive relationships with peers and adults. We offer eye examinations for children of all ages and their families. We have optometrists who specialise with children’s vision. These optometrists measure visual accommodation, binocular vision, convergence and eye tracking. I personally see children who are struggling at school due to visual perception problems. Providing specialised assessment, tuition and support for people with dyslexia and other specific learning disabilities nationwide. Located on Esmonde Road in Takapuna and close to both public and private transport facilities, Harbourside Kids is in a perfect location for both local and commuting families. Thinking Caps for kids is passionate about helping your child by boosting their skills and confidence in maths. Our maths tutoring is based on the school curriculum and our teachers are trained in the numeracy project. reThink Children’s Therapy provides private Speech & Language Therapy, Clinical Psychology, Occupational Therapy & Social Work assessment, intervention and diagnostic services to children & young people new born - 18yrs. We are Dunedin’s only dedicated children’s therapy team working with children in their own settings or in our modern clinic. As Occupational therapists we are passionate about helping children to access all areas of life. This could be play, accessing the curriculum, developmental difficulties, social skills, writing skills, motor skills etc. We customise programmes to meet the needs of each child in order to help them meet their individual goals. SAE Institute, Auckland is a NZQA accredited Degree Granting Institution offering programmes in electronic music production, audio engineering and film making. SAE combines sound theoretical knowledge with invaluable hands-on training. Visique Rototuna Optometrists is your family vision centre providing children’s vision eye examinations and assessments. We also offer a range of child specific frames and lenses. Learning Matters offers education consultancy services for schools and educational centres and learning support and extension for students and families who wish to invest in their children's education. Delivering a true wraparound service, engaging all stakeholders, we work alongside and enable families, students, teachers, school leaders and SENCOS. Our team provides mentoring, counselling & youth coaching services to youth aged 11-18, helping to build quality relationships based on hope, care, forgiveness & support. At Paterson Burn we care about encouraging good eye health in every sense which is why we aim to be leaders in the New Zealand optics industry by following a simple principle, to focus on you and your family, providing comprehensive and advanced eye examinations and treatments. Fun in the Sun Counselling works from a Narrative Therapy approach where the ‘problem is the problem never the person’ and believes people have strengths and knowledge that can be enriched through the therapeutic process. Also providing relevant information and education on a variety of issues, including child attachment, developmental stages, grief and loss, school issues, and supporting families with parenting, making hard decisions and other problems. Angels Childcare Centres provides the highest quality care and opportunities in education, outdoor playgrounds and social development, from the very young right through to children starting school. With Centres located in New Lynn and Takapuna Auckland, we have a strong Christian foundation and we offer children an environment full of learning, fun, joy and laughter. Butterfly Creek hosts a family day of learning and discovery, connecting children with the living world through innovative, colourful and challenging attractions and exhibits. Kids OT is a private Occupational Therapy service for children based in Tauranga, run by a Paediatric Occupational Therapist with extensive training and experience. The centre is set up for therapy with children aged three to ten years. Most interventions take place within the centre, but we have flexibility to see children in school or at home. Welcome to Rocket Kids – an early learning centre that aims to provide exceptional pre-school education and care for children from 3 months to 5 years old. Swimgym is a friendly place to develop confidence in the water for all ages and levels. In the Swimgym programme the learner will move seamlessly from blowing bubbles, to swimming all strokes to … well the sky is the limit. From water babies to all ages as we have a direct link to the Howick Pakuranga Swimming club, from floating to fulfilling the Olympic Dream. Bambinos is a purpose built early childcare centre which has been based on the principles of running as a home away from home. Bambinos is committed to providing you and your child with the very best early childcare education with a loving and caring environment. Specialising in children struggling at school with learning, dyslexia, behaviour & anxiety, Mary can help your child thrive with a toolbox of strategies to make life & learning fun again. Glen Eden Extreme Edge is a revolution in child-centred indoor rock climbing experience not to be missed and is a great place for kids to begin their climbing journey. Catering for kids from 3 years plus, and all fitness levels, we provide a safe environment for exercise and for developing co-ordination, strength and flexibility. You can watch your child grow in confidence and fitness all whilst having fun! Looking for fun and activity for all the family? Come and see us, just across the road from Stanmore Bay beach. Visit us to go swimming, participate in a range of activities ranging from pre-school to seniors, or just cool off at our Splashpad. We cater for all ages, and abilities. Our “home” is a renovated purpose built centre. The centre has a cosy home-like environment which helps give the children and their families a sense of belonging in the centre. Active Plus Physiotherapy provides a comprehensive assessment and treatment plan for children with muscle, joint or bone problems. We have a team of experienced, professional and friendly physios who make treatment fun while still being of the highest standard. Matakids provides a nurturing, relaxed and safe environment for children before and after school. We also collect siblings from kindergarten and college which gives parents one central location to collect their children. We also pick up and drop off children to and from extracurricular activities. The Independent Living Service (ILS) is Auckland's leading information and equipment solution specialist. For information and advice, assistive products and accessibility advisors contact us. Visual Perceptual provides a therapy with a dramatic difference. While many of us have been led to believe that childhood struggles are for life, and that these kids will need therapy for a long time, we will show you that the opposite is usually true. We provide the ground breaking, 21st century Visual Perceptual Therapy, a therapy that addresses childhood struggles at their very core, resulting in rapid and profound improvement in a child’s performance, allowing them to go out and get on with life. While some things in life are too good to be true, this therapy is not one of them. Opening doors to imagination, ingenuity & creativity, we stimulate critical, ethical & creative thinking skills. Students learn a 6-step problem solving process as they grapple with global & community issues. STEPSforward offers free confidential services to support families/whānau and the community to contribute to the overall well-being of children and families. Services in social work, family support, finance/budgeting planning and education programmes to empower and strengthen families/whānau to work towards solutions. We provide quality early childhood education to children aged 0 – 5 years at our 4 locations throughout Auckland. GirlGuiding NZ is a non-profit organisation where girls can be girls, where they will discover their passions, contribute to their communities and form friendships in a safe and positive environment. Guiding offers a non-competitive learning environment which is open-minded, and values based. It’s a supportive place to grow confident, adventurous girls who are ready to be tomorrow’s leaders. Quality Childcare, Education, Preschool, Kindergarten & After School Care. West Wave Pool and Leisure Centre is your community base for everything active. With a huge pool complex, wave pool, lap pool, recreation centre, swim school and fitness centre we can help you get active your way. Based in Auckland, the MY FC Football School provides fun soccer programmes for boys and girls from the ages of 5 – 12 years of age. We work on developing players of all ability levels and providing programmes to cater for player’s individual wants and needs. Ultimate Transformations is an Educational Consultancy, Coaching and Training Organisation committed to inspiring students with learning difficulties to rediscover the joy of learning and be successful lifelong learners. Our coaching is deeper in scope than tutoring as we use holistic interventions that include self-awareness, executive functioning and emotional self-regulation skills in addition to teaching academic skills. Imagination Station Early Leaning Centre provides care and education that enables children to develop essential life skills. We place an emphasis on social development where children become confident in a loving and caring environment. Our centre is based in Glen Eden and provides both all day and sessional options between the hours of 7.30am and 6.00pm. Playschool Au Pairs is an experienced agency offering quality Au Pairs, exceptional follow up support and a genuine passion for what we do. Having an Au Pair means that your children can be cared for at home and carry on with their routines and activities as usual. It also means you can relax knowing you have reliable and flexible help when you need it most. The Grief Centre is a Charitable Trust providing transformative support through all forms of loss and grief. Kuddles Educators offer childcare and education that stays in touch with the magic of childhood in a home setting. Our experienced educators provide childcare in a safe, secure and nurturing environment with one to one attention, flexible hours and at convenient locations all over Auckland. I am a Certified Play Therapist accredited by Play Therapy International (PTI) and Play Therapy Hong Kong (PTHK). I am currently in the process of transferring my membership to Play Therapy New Zealand (PTNZ). Inner Seeds Workshop, originally operated in Hong Kong and Taiwan and now in East Auckland New Zealand, runs an independent therapeutic playroom for therapy services on a private basis and in groups for children and adolescence aged 4-15 years. Jazz Unlimited Dance Studio provides instruction from highly trained teachers in a friendly and safe environment, in classical ballet, hip hop, American jazz and tap, contemporary, and theatre arts. We develop their technical skills, and their love of dance and performance.